Launched back in January 2018, property developer City Developments Ltd (CDL) has priced its 2 penthouse units (7,836 square feet) at New Futura in Leonie Hill Road from a staggering $39.8 million each, or $5,079 psf. Situated on the top 2 levels of both towers of CDL’s newly completed high-end 36-storey residential project, each penthouse unit has 5 bedrooms in total, offering resident a 360-degree city view and a private pool. One of the key highlights would be the Poggenpohl Entertainment Kitchen – imported all the way from Germany and signed off by luxury car brand, Porsche; being placed right next to the pool deck. In 2017, co-founder of Facebook Mr Eduardo Saverin snapped up the super penthouse (~10,300 square feet) at luxury condo Sculptura Ardmore for a whopping fee over $60 million (>$5,650 psf) – making it one of the most expensive luxury condo units ever sold in Singapore. 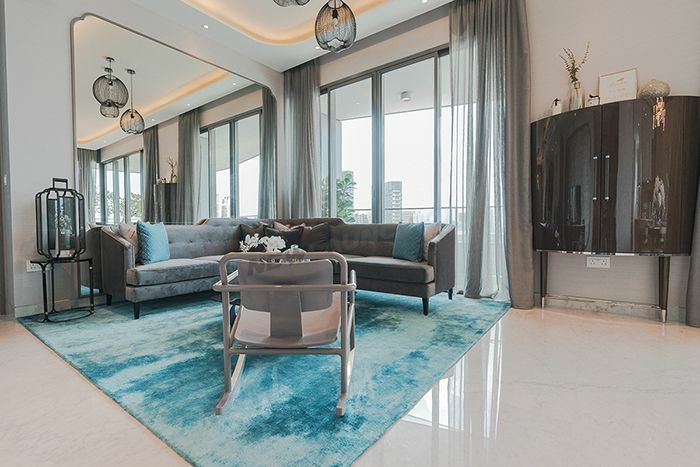 CDL has mentioned that sales at New Futura and Gramercy Park (another luxury condo along Grange Road by CDL, launched back in 2016) were mainly concluded by the ultra high net-worth individuals (HNWI) – Singapore permanent residents (SPRs) or foreigners. The total sales value works out the be $1.3 billion in total for both projects. The real estate group remains upbeat and optimistic over Singapore’s high-end property market as luxury properties in Singapore are set to be spurred by new launches this year. It was also noted by market watchers that the ultra HNWIs in Asia have been projected to increase by as much as 55% by the year 2022, as compared to the numbers in 2017, and CDL is confident that it will continue to boost take-up rates for its other luxury condos – such as Boulevard 88 and South Beach Residences. The 190-unit South Beach Residences have been completed since 2016 and is expected to be launched for sale in Q2 or Q3 this year. However, the development has already made headlines back in 2015 when it was still under construction as CDL rejected a $26 million offer for its penthouse at South Beach Residences. According to The Wealth Report 2018, Singapore was named as the world’s 5th destination for real estate investments among the mega-rich globally and 3rd most-favored among investors in Asia – just behind UK and USA.